The owner of the device has the possibility to prohibit the placement of information in the information field, but in most cases this is impossible. 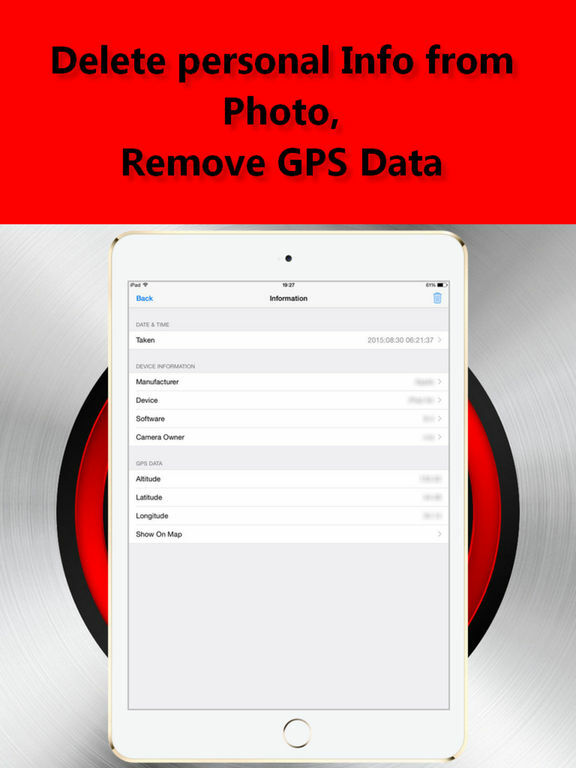 Delete personal Info from Photo, Remove GPS Data, EXIF Editor allows you to simultaneously perform editing operations and \ or removal of several photos in a batch mode. 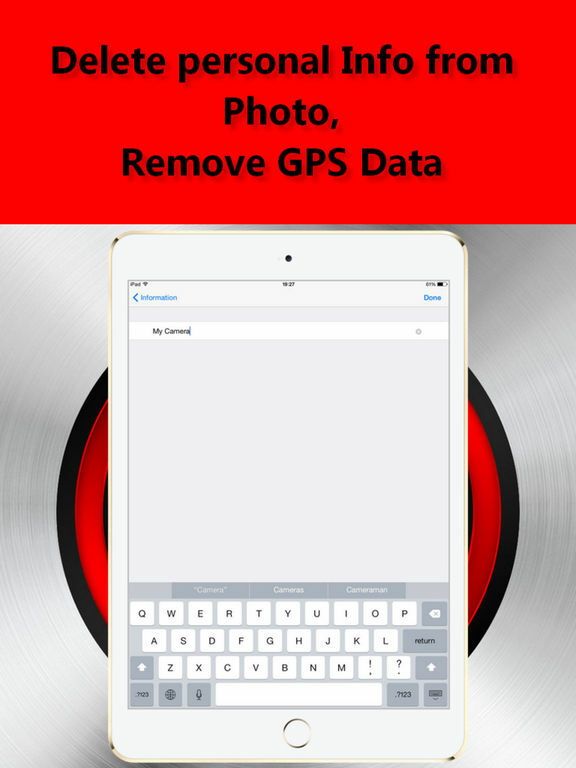 To avoid extra work on editing and \ or removing personal information, you can make shooting directly from Delete personal Info from Photo, Remove GPS Data, EXIF Editor.